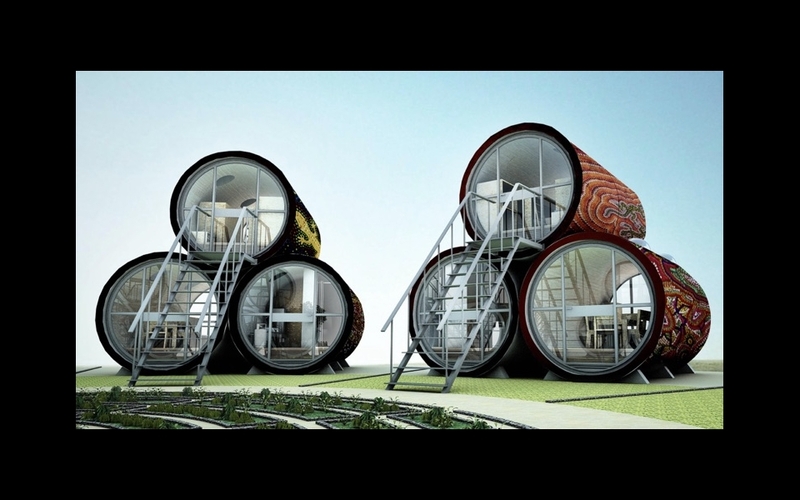 James Law Cybertecture, working for South African charity organisation Projekt Ubuntu, has designed an innovative low cost sustainable pod housing for the slum township of Masiphumele near Cape Town. 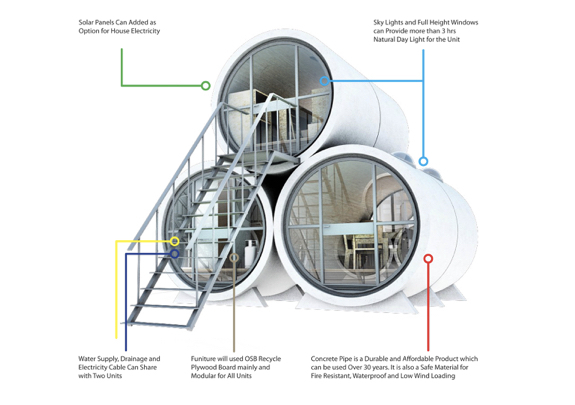 Named O-Pod, these houses are designed out of 3 available concrete water pipes with 3m diameters, giving a safe and fire proof environment for citizens constantly afraid of township fires. The structure is also elevated off the ground to prevent the penetration of flood waters. 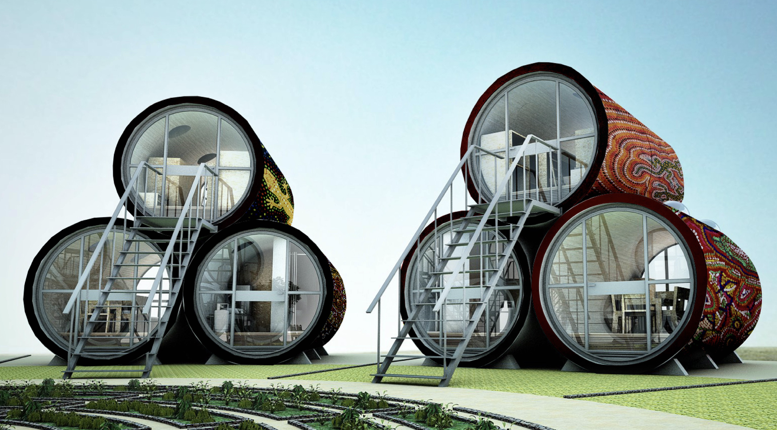 Engineered to be sustainbale through the use of water recycling of solar power, the project is designed in collaboration with Engineers Without Borders, Hong Kong Chapter.